A great miracle of the kite is that it is possible to ride all year round: the sea, the mountain, campaign, or even at the North Pole! To meet this challenge, two basic rules are enough: know how to fly a wing and adapt to its environment. For more information you can always contact us. The game aims to slide on the snow by tow by the wind with his kite. As sliding support generally used skis or a snowboard, according to affinities. the more adventurous will try a few jumps, or jumps, and more experienced will launch in the acrobatics (freestyle). 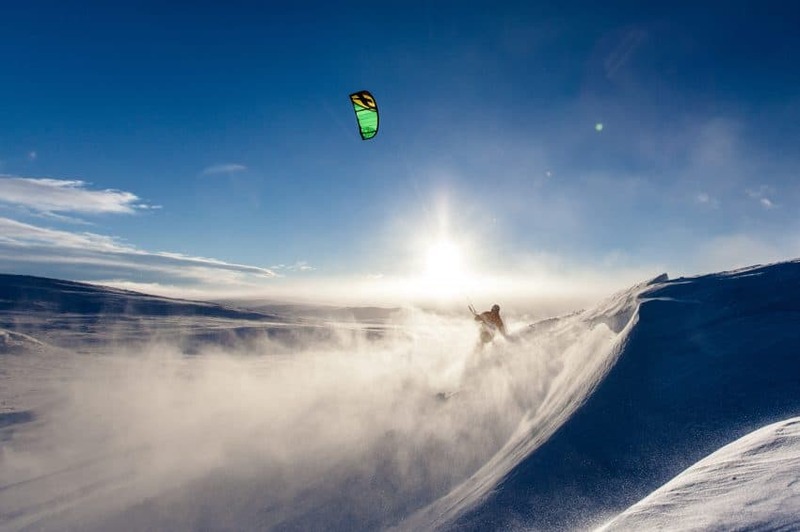 But we can also do the Snowkite terrain: the idea is of back the passes by being towed by the wind before hitting the slopes in ski or surf mode. Kite rando, except instead of sealskin to walk up, using his kite! Sites labeled and secured by the French Federation of free flight. 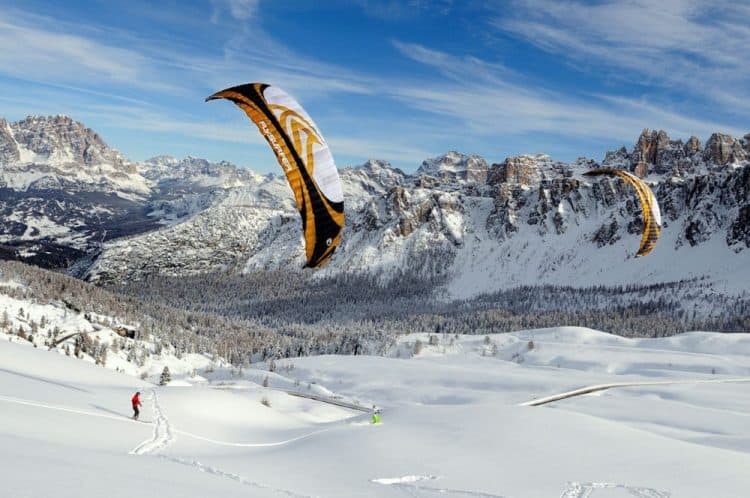 There are a lot of places for the practice of Snowkiting: to the Col de Lautaret, Val Cenis, to Markstein in the Vosges, in the Queyras, Vercors, on the high plateau of Aubrac or the mountains of the drill. 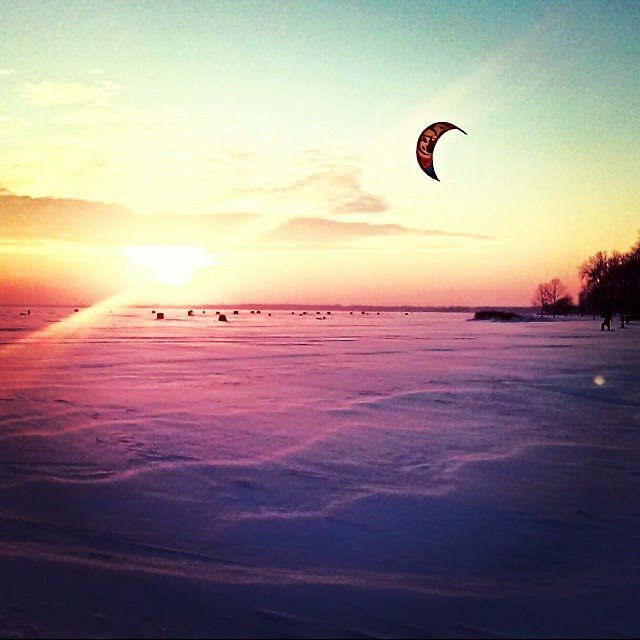 Follow this link to read more about snowkiting lessons and make your reservation with an instructor in the best snowkite center. During the winter season which starts in December and ends in April, according to snow. 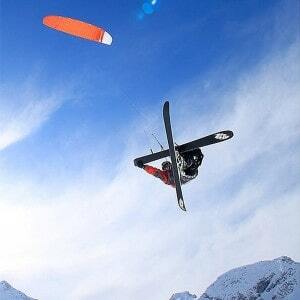 No need for making the kite to start, but you must master the technique of ski or snowboard. It is practiced in a carriage, or the feet screwed to a mountainboard, the equivalent of a Board of large toothed wheels skates. Favorite surfaces: stretches of hard sand on beaches at low tide, fields and dirt roads. A few daredevils are on asphalt, but if we go down might be hurt badly. The landkite allows you to make beautiful bursts of speed and discover places wild and inaccessible by car. For example, off the beach of the Coussoules at Port Leucate, we can ride a good 20 km along the Mediterranean, up to Gruissan. A heck of a ride! Courses approved by the French federation of free flight (FFVL), generally related to a kite club. In the uncultivated, fields with the agreement of the owners and according to the rules of ethical conduct. On the beaches of Brittany, Vendée, and Normandy. In the Mediterranean, the beaches of Port Leucate and Beauduc lend themselves well. Kitesurfing combines piloting of the kite with a vision with 360 ° and pleasure of the slips on the water. The advantage of kitesurfing, especially when we learn the basics of piloting, is that the water cushions. You can ride on flat water or in the waves, to have a pure sensation of gliding, do jumps or freestyle. Kitesurfing is a sport accessible to everyone: no need to have a big fitness to practice! 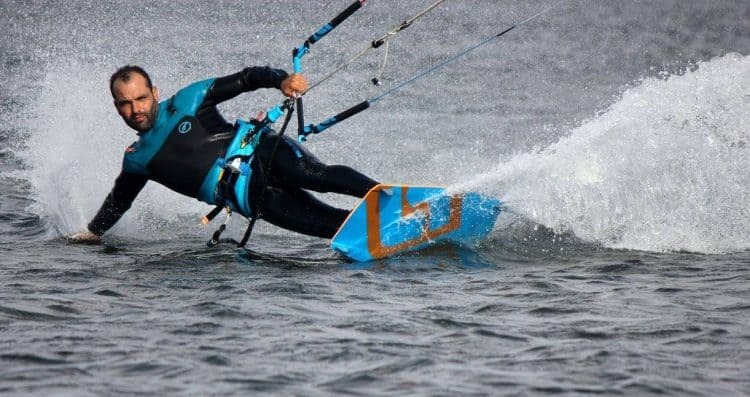 Where and when practice & learn kitesurfing? Kitesurfing is practiced throughout the year across the globe, organizations like the UCPA offer trips that combine discovery of a country and learn to kite in nature. In a few sessions, you will feel your first sensations on the water. Where: In the sea or Lake, in France or abroad. Getting towed in ice skates or board feet, on a frozen lake. Occurs mainly in Norway, Finland, and Canada. 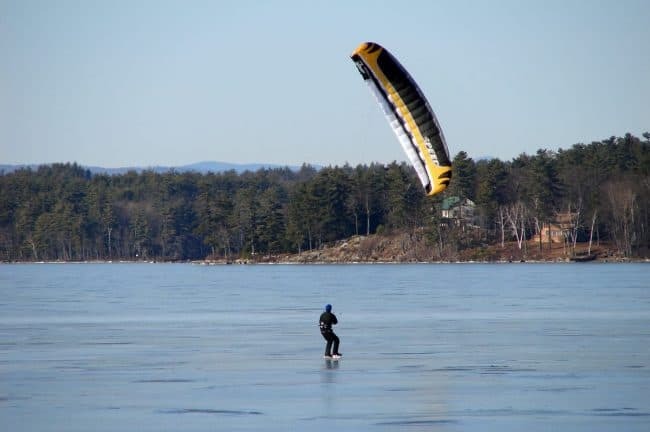 Fly his kite in skating, with all-terrain tires. To kite by bike. Extremely not widespread as dangerous, but it exists! The highest jump in kitesurfing: 21,40 m, in Puerto Rico. The record held by Phil Morstad, July 2015. The more big burst of speed in kiteboarding: 56.62 nodes (104,86 kph), to Salin-de-Giraud. The record is held by the French Alexandre Caizergues, November 2013. The more long trip nonstop in kiteboarding: 874 km from Lisbon to Madeira, in 47 hours and 37 minutes. The record is held by the Portuguese Francisco Lufinha, July 2015. The more long ride in kite-buggy: 1 015 km, in the Gobi desert. The record is held by the British Pete Ash, Kieron Bradley and Brian Cunningham, September 2004. The more long distance in kite-ski, in 24 hours: 595 km, Greenland. The record is held by Eric McNair-Landry and Sebastian Copeland, in June 2010. 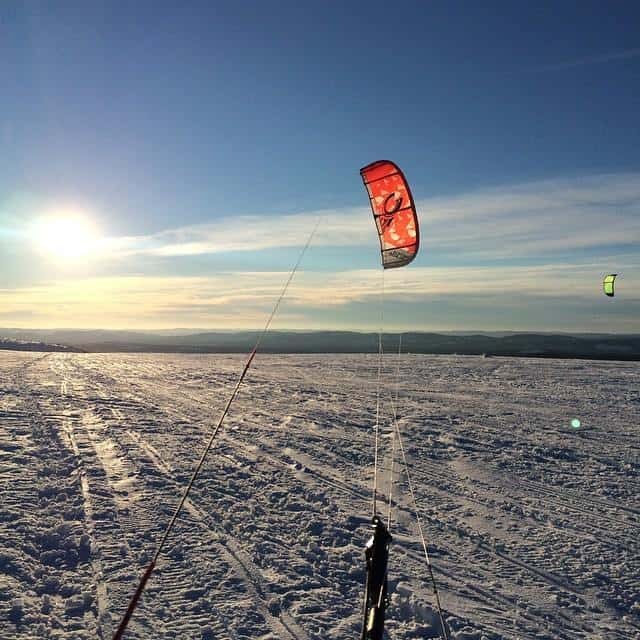 Before embarking on the kite, the better practice is to ensure that it has liability coverage for the method of the winter sports aerotractees.